Oh you guys!!! 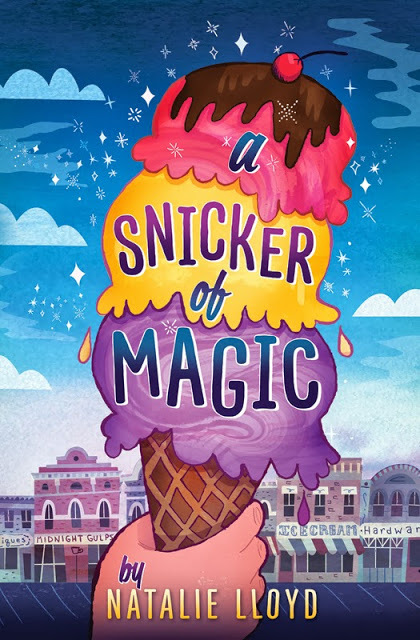 I just finished reading A Snicker of Magic to Artist & Boo. I’ve been reading books to them every night since they were born and this was our very favorite ever! They’d eagerly get into their jammies & brush their teeth extra early so we could have more time to read, & let me just say, compared to their normal EXTREME PROTESTS at bedtime, that in & of itself was sock-rocking awesome! I loved it myself as much as they did, maybe more. There were several nights where it took soo much self-control to not keep reading it after I tucked them into bed! Reading it just made us all feel so happy. We couldn’t even help it, the words were practically magical & no matter how we were feeling before we started, by the time we finished a chapter we’d all be smiling! We loved the “snickers” of magic the characters had. The very best one was of course the way Felicity would see words float around people’s heads, scuttle across walls, & dance in the sky! But there were so many other little magics, like playing music that made everyone dance, hope coming down in the form or a bird tattoo, & ice cream that didn’t melt!